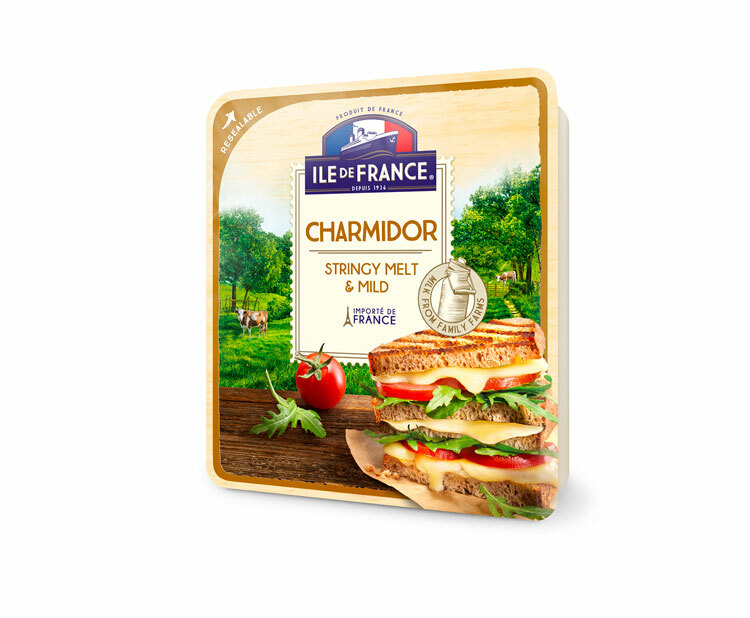 The Ile de France Charmidor slices are characterized by their intense creaminess and tenderly melting texture. Our master cheesemakers obtain the unique taste and aspect of Charmidor thanks to the cream-enriched milk associated to specific ferments activity of which is extended during the maturation process. This technique makes the best of Charmidor when tasted hot to reveal its stretching texture. Intense creaminess and stretchy texture when heated. Pasteurized cow’s milk, culture, salt, colour (annatto), microbial rennet. During ripening, small white crystals may gather, sign of quality. May contain traces of ewe and goat’s milk, haselnuts, cashewnuts and egg white extract. Packed in a protective atmosphere.